Psynaptica is founded on a commitment to ethical practice and service excellence. We offer confidential, safe and ethical psychological services to our clients. Our approaches to psychological treatment are current, scientific and evidence based. Since inception in 2008, we have worked with numerous individuals and families and partnered with organisations to achieve positive mental health outcomes. At Psynaptica, Our Clinical Psychologists have extensive experience providing Psychotherapy, Counselling & psychological assessments for children, teens, adults, couples and families for both expat and local clients in Singapore. Our Clinical psychologists are well trained in behavioural sciences to treat a variety of issues related to mental health, facilitate personal development, improve relationships and build cognitive skills. We use a scientific, integrated model based on neuroscience and tailored to client needs, drawing on the strengths of different approaches such as cognitive-behaviour therapy (CBT), attachment theory, positive psychology and EMDR. Singapore is home to many expat families and has a truly international feel to it. At Psynaptica, we take pride in making a difference to our clients from over 25 different nationalities from across the world. Our psychologists have vast experience helping numerous local and expat clients in Singapore cope more effectively with life issues and variety of mental health problems such as depression, anxiety, issues relating to relationship, parenting, relocation and adjustments. We are located in a serene, quiet and a convenient location at Rochester Park, Singapore within walking distance from the Buona Vista MRT. Students who experience bullying are twice as likely as non-bullied peers to experience negative health effects such as headaches and stomachaches. They are also at increased risk for poor school adjustment, sleep difficulties, anxiety, and depression. Students who engage in bullying behaviour are not free from mental health problems. In fact, they are at increased risk for academic problems, substance use, and violent behaviuor later in adolescence and adulthood. 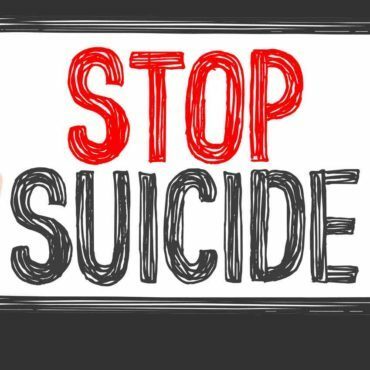 Someone who is thinking about suicide will usually give some clues or signs to those around them that show they are troubled. It is important to take these warning signs seriously.